Developers and architects serving densely populated urban areas across the US, UK, and Worldwide are quickly discovering that modular construction with its economical cost, controlled offsite construction, fast set-up and minimal site disturbances is the way to go on a wide variety of projects. Advancements in technology have taken care of the many previous limitations of prefabricated construction, making this time-tested, but previously not so popular method of construction, into a hot new trend. With modular construction, everyone wins: developers save money and time, business operations continue without interruptions, local communities are not disrupted by on-site construction, and the environment does not have to suffer from any excessive pollution and waste commonly associated with traditional construction. For many decades, prefabricated buildings have mostly been one to two stories high. However, this trend is rapidly changing, as new advancements in modular construction now make it possible to build buildings as tall as 30 stories. 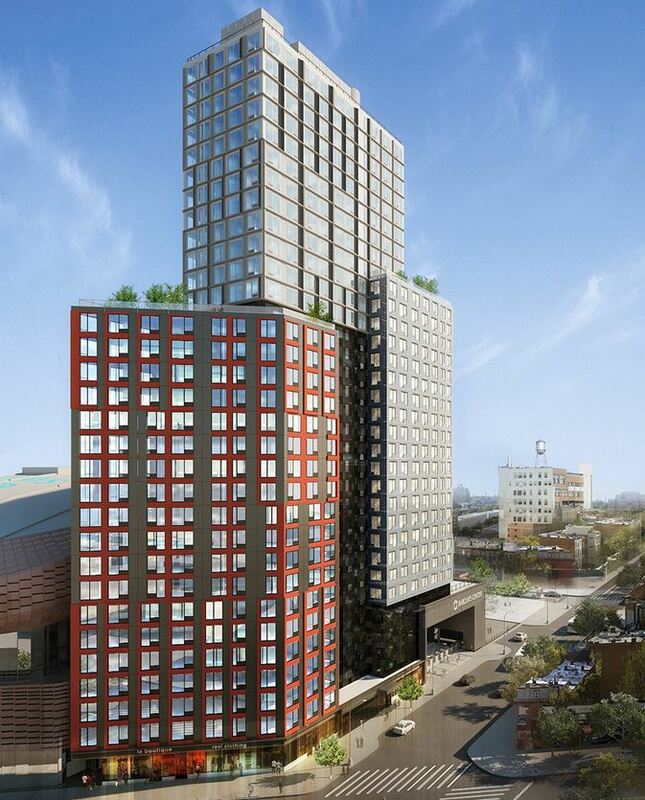 One ongoing project taking place in New York City, is Forest City Ratner’s 32-story, 350-unit residential tower. After considering all factors, the company chose to go with modular construction, due to cost savings upwards of 20% compared to traditional construction, and an accelerated construction schedule. This entry was posted in Modular Construction and tagged Modular Buildings for Urban Areas on by Modular Building Guru.